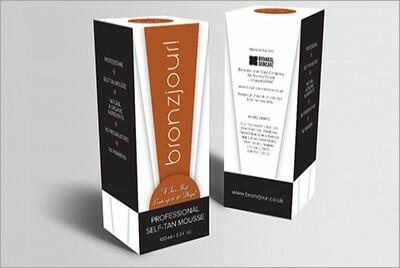 Beauty Product Packaging :: INHOUSE Productions Ltd.
INHOUSE was tasked to design the packaging for a skin bronzing product. The client had a design that, while accepted by a distribution firm, was not accepted for retail use. The new design allowed the customer to position their product successfully in the marketplace. Packaging designed by INHOUSE in July 2013.